These Golden Retriever weathervanes are made from hand selected wood pieces. Produced with hand carving which makes this dog gift a fully functioning and completely unique weathervane. It is truly a majestic work of art. Hand-carved from Basswood on both sides, sealed, and hand-painted. These dog weathervanes are available in two sizes. The standard size is 22 inches in length. 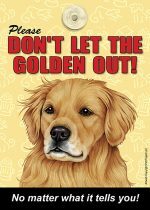 The large size is 32 inches in length ( $155.00) The standard size weighs in at roughly 18 lbs. 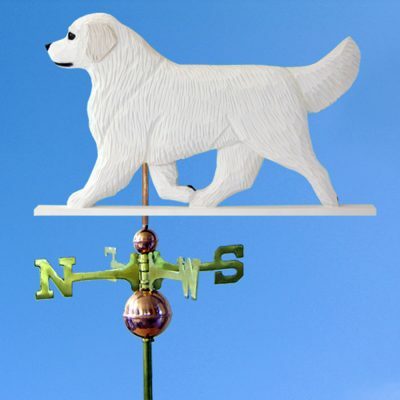 Each dog weathervane is hand carved and painted to order. 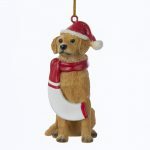 If you are looking to dazzle yourself or someone else, you have found the perfect outdoor dog gift.-Notice the image that shows a holder and a weathervane on top of the holder. This allows for you to keep a weathervane on the ground if you prefer to not mount it on a roof. This will cost an additional $40 for the base.